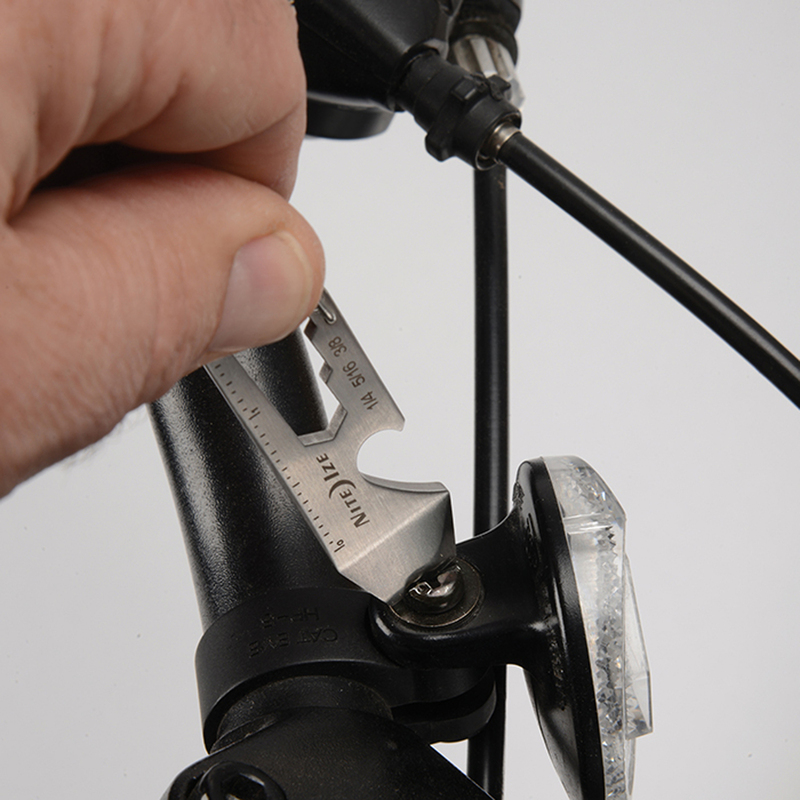 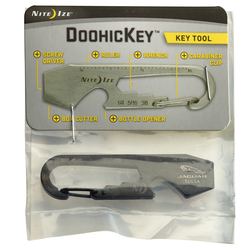 Features a half-dozen tools packed into a simple key device that fits in the palm of your hand. 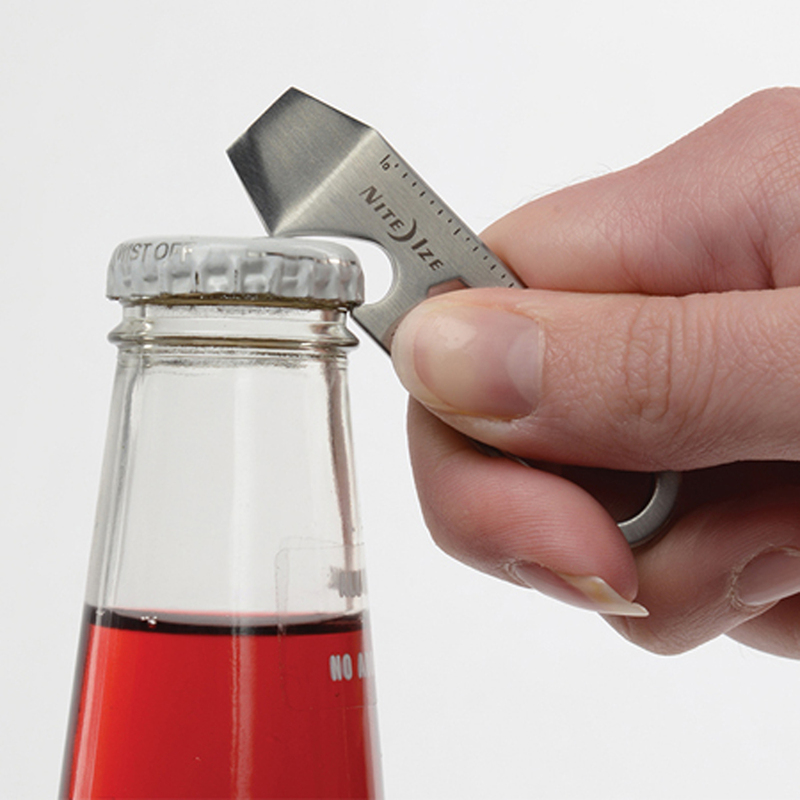 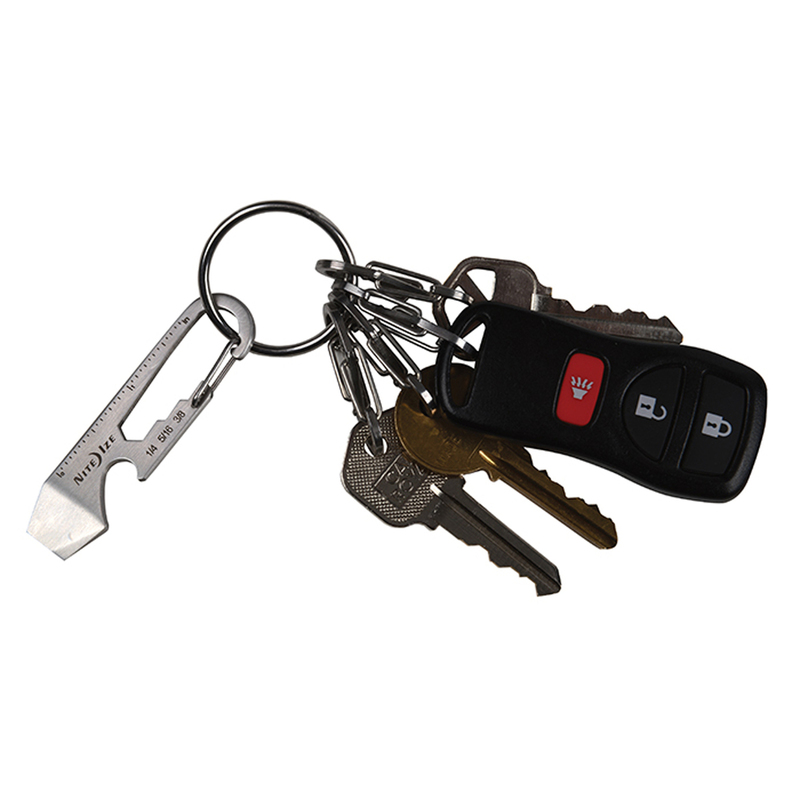 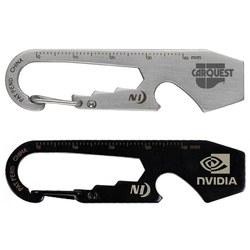 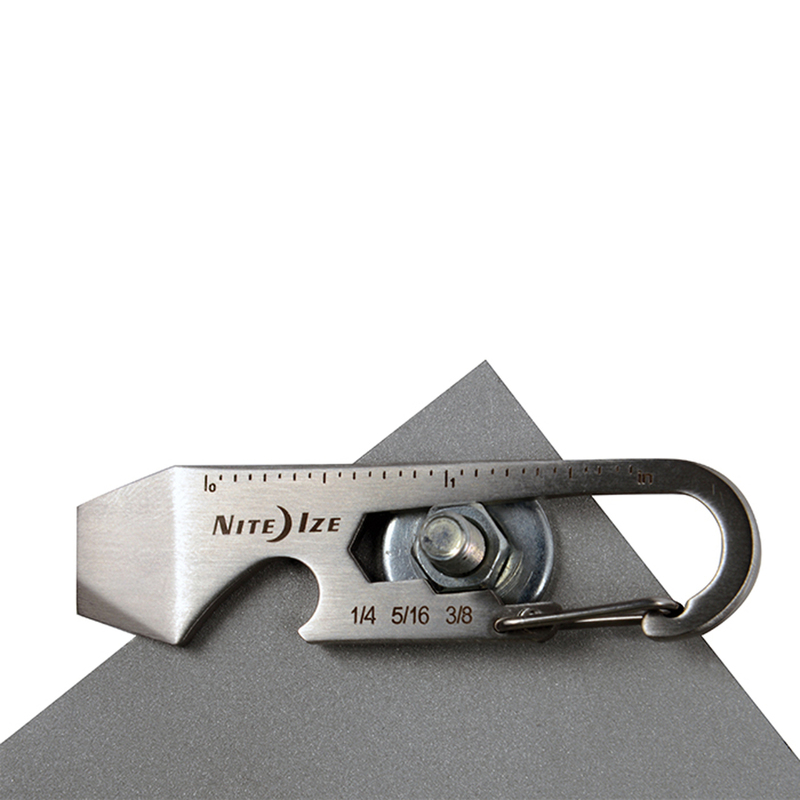 Features include a sturdy carabiner clip, a wrench, an etched ruler for on-the-spot measurements, a bottle opener, a flat head screwdriver, and a TSA friendly blunt-tip box cutter. 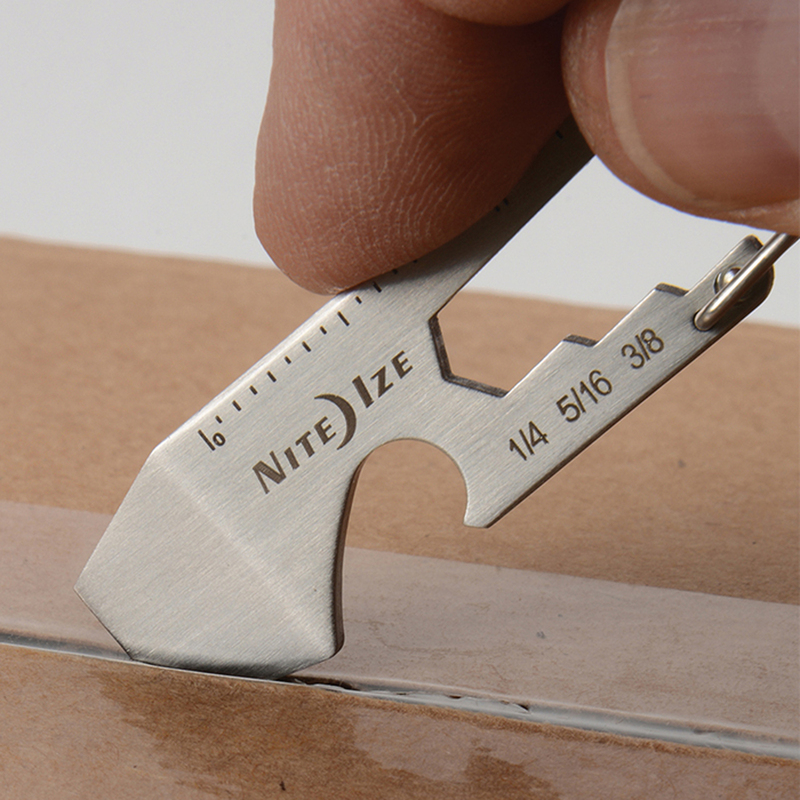 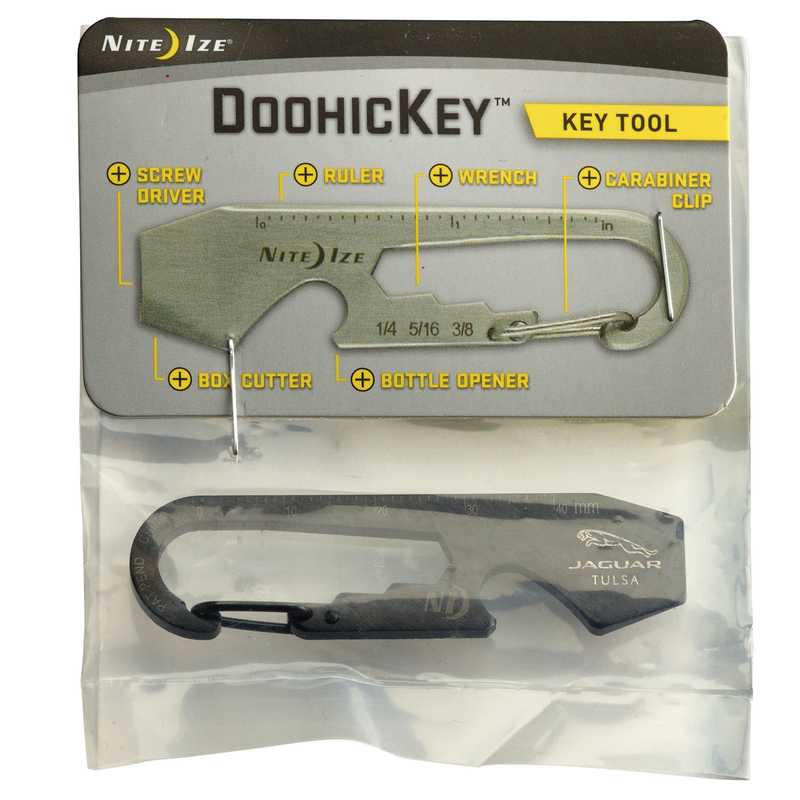 Made of durable stainless steel, the Nite Ize DoohicKey features a half-dozen tools packed into a simple key device that fits in the palm of your hand. 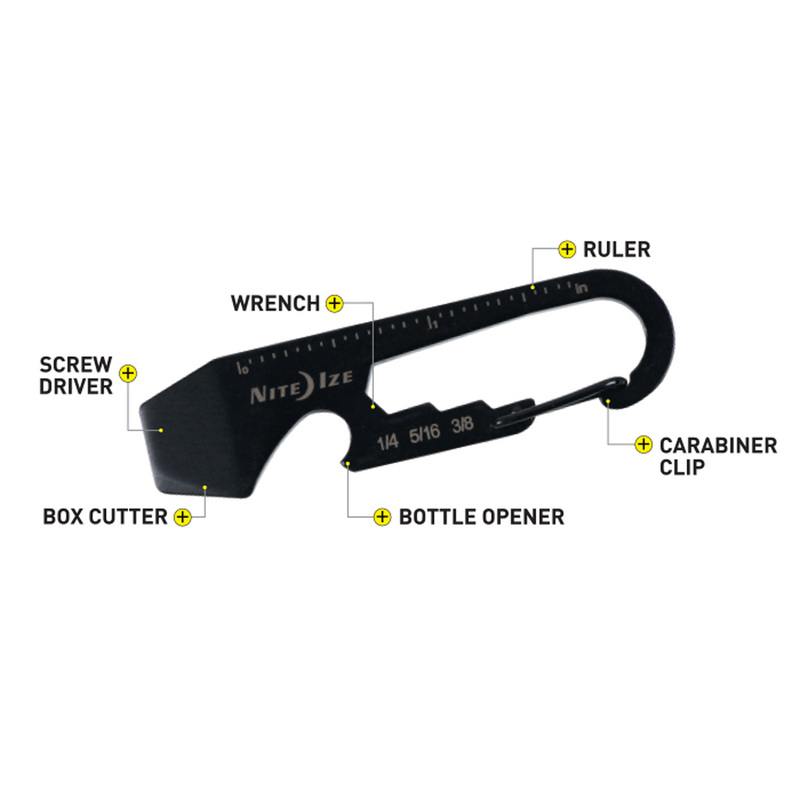 Features include a sturdy carabiner clip, a wrench, an etched ruler for on-the-spot measurements, a bottle opener, a flat head screwdriver, and a TSA friendly blunt-tip box cutter. 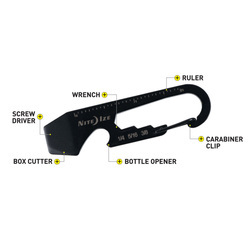 With a streamlined, clever design that makes it easy to carry, attach, remove and reattach, it's always as at-hand as it is handy. 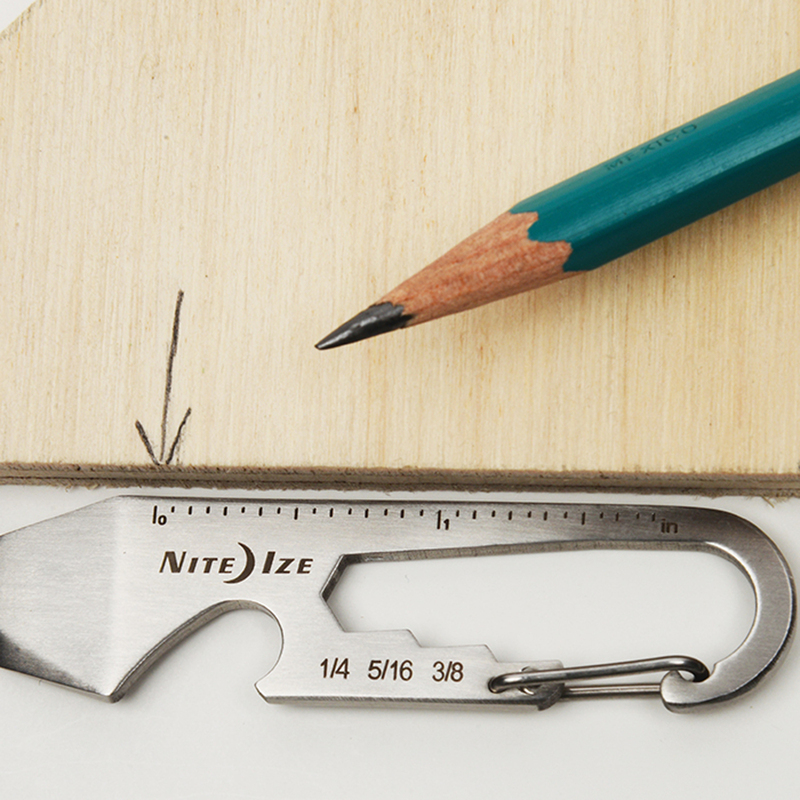 Size: 2.6" x 0.7" x 0.1"